It’s probably no surprise that after a season of giving and receiving in December, when the holidays were filled with the spoils of presents, meals, desserts, entertainment, and much more, so perhaps January is a very good time to say ‘thank you’ to our family and friends. January is National Thank You Month, let’s start the year off right with this simple and touching gesture. To express your gratitude, make and send special thank you notes and cards to friends and family, your neighbours, and anyone else you appreciate. 1. 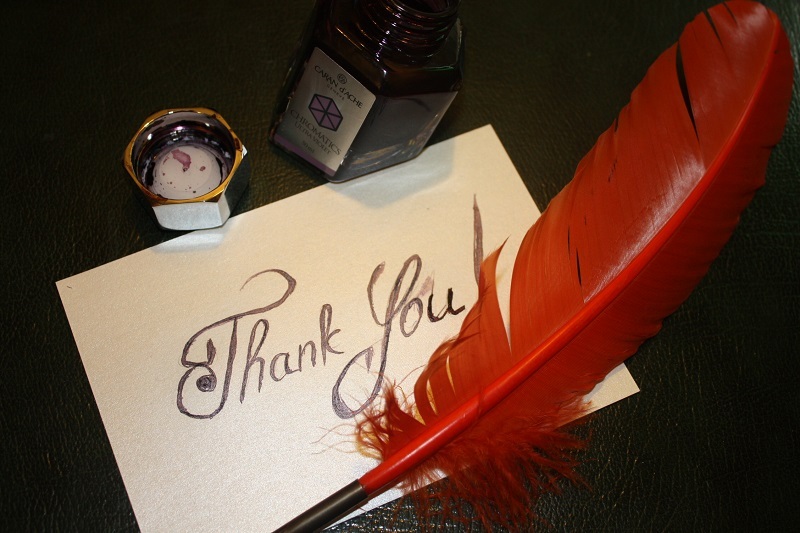 Use your favourite pen and start with greetings by handwriting the name of the giver. 2. Express your gratitude and thank the giver for the gifts. 3. Shower the giver how you will use their gift, let them know that their gift won’t go straight into returns or re-gift pile. Get your create side out if you were gifted with art products, draw a picture and send it to the giver. 4. Write something that express your relationship with this person. 5. And last, a thankful and graceful closing. Saying “thank you” is a simple act that can have powerful effects and can turn someone’s day around.